In order to improve the accountability of public finance practices, the government of Indonesia initiated the Public Financial Management Reform in 2001. The first milestone of the reform is the enactment of a number of new laws including State Finance Law, State Treasury Law, and Audit and Accountability of State Finance Law in 2003 and 2004. Based on the mandate of the new laws and in collaboration with the World Bank, in 2004 the Government of Indonesia initiatied the Public Financial Management project to improve the accountability, transparency, effectivenss and efficiency in public financial management and revenue administration. One of the largest component of the Project is the implementation of FMIS which was called the State Budgeting and Treasury System (Sistem Perbendaharaan dan Anggaran Negara/SPAN). SPAN implementation was started in 2009 and has objectives to establish a robust financial management system for budget planning and budget execution, which will improve transparency in all aspects of financial management, improve the quality of budget planning and budget execution, improve payment cycles, reduce errors in payment, provide more operations assurance for end-users, improve compliance with existing standards and regulations, streamline the business process cycles, improve accuracy and reliability of financial reporting and ensure that budget execution is well aligned with budget plans. The project governance structure for SPAN was developed with roles critical to implement, coordinate, consult and resolve various elements and issues related to the Project. The governance consisted of Project Sponsor (Minister of Finance), Project Owners (Director General of Treasury, Director General of Budget, and the Secretary General ofMoF), the Steering Committee which consist of several advisors from various stakeholders, the Project Directors (Director of Treasury Transformation, Director of Budget Systems and Head of IT), Technical Coordination teams, a Change Control Board, and a Project Implementation Unit (PIU) which assisted the daily project management activities. The project governance performed project management coordination mechanisms such as regular weekly and monthly meetings and has implement procedures to identify, escalate and resolve technical, operational and strategic issues related to the project. SPAN was implemented in both national and sub-national levels of the Ministry of Finance and consisted of 7 modules, which are Budget Preparation, Commitment Management, Cash Management, Payment Management, Revenue Management, Financial Reporting, and General Ledger. Spending Units interacted with SPAN through an application called Spending Unit Finance Application Sistem (Sistem Aplikasi Keuangan Tingkat Instansi/SAKTI). 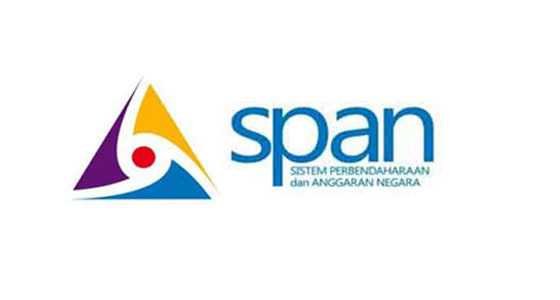 The main project activities of SPAN implementation included supply and installation of the SPAN system and infrastructure, Independent Verification and Validation (IVV), Business Process Improvement (BPI), Change Management and Communication (CMC), and Project Management and Quality Assurance (PMQA). SPAN implementation encountered setback and delays as it was a complex transformation project which has impact on structure, process, people and technology. Various challenges were faced by the Project, such as setbacks in procurement of consultants and contractors due to rigid procedures, difficulties in freezing of new business process due to parallel changes of state policies and regulations, lengthy SPAN application design due to changes in business process and IT contractors’ limited capacity, consistent resistance from a few stakeholder groups due to late implementation of change management activities, and delays in SPAN pilot and roll-out process due to uncovered glitches along the process. As the result, SPAN implementation suffered a significant delay in terms of project sechedules. However, persistent effort from the project teams and consultants and continuous commitment and support from MoF leadership carried SPAN implementation up until the end, and SPAN was finally inaugurated by the President of Republic of Indonesia in April 2015. In terms of change management, SPAN implementation impacted approximately 10,000 stakeholders in three Directorate Generals within MoF, and also impacted more than 90,000 stakeholders outside MoF, which are the Spending Units that interacted with MoF for budget disbursement purposes. MoF appointed a Change Management consulting firm to assist in the design and co-implementation of the change management programs, such as the change agent network, leaders activities, communication programs, development of new organization structures, and End-users’ familiarization, training and handholding. Efforts are also performed to ensure that SPAN will become the new business as usual for the people of MoF, using the Principles of “Making Change Stick”. Currently, SPAN is fully operational in and the Government of Indonesia got recognitions from international communities on the successful implementation of SPAN and its impact on the overall public financial management reform.